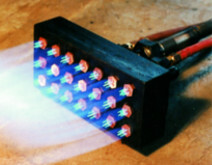 For over 50 years, SuperFlash and IBEDA brand flashback arrestors, quick connectors, manifolds, heating solutions, and other compressed gas equipment have protected and served millions of compressed gas users and welders in more than 100 countries. 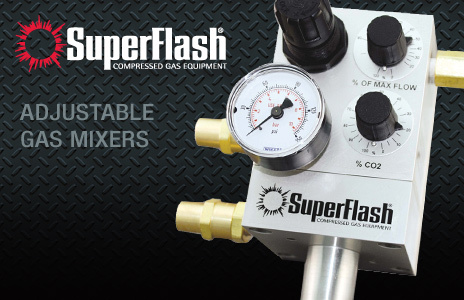 SuperFlash Gas Mixers: Completely user adjustable, affordable and can be made in almost any combination of 2 gases you request. 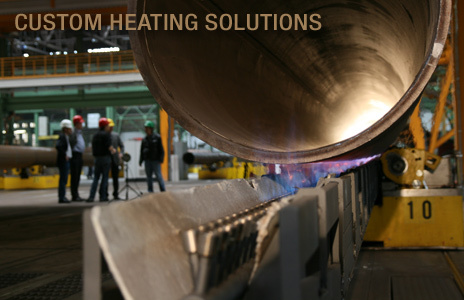 SuperFlash can design you a custom heating solution that is predictable, reliable and gives repeatable results. 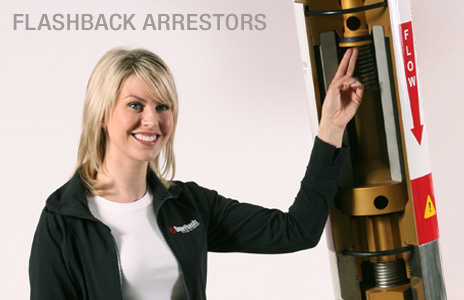 SuperFlash carries a full line of flashback arrestors that can give you full protection against flashbacks. 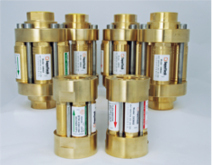 Jewelry to pipeline- we\'ve got you covered. 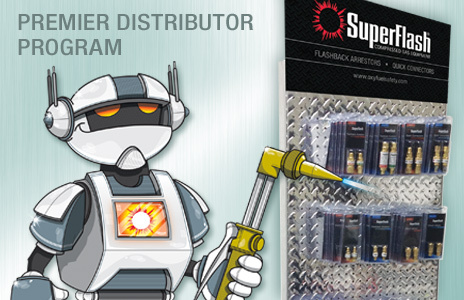 Become a SuperFlash Premier Distributor! Get perks like free shipping, exchange programs, training and more. Click here to learn more! 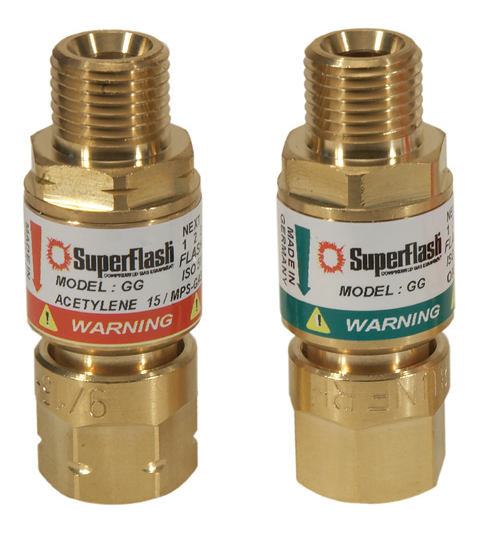 SuperFlash flashback arresters are UL and many are BAM approved, ensuring sufficient gas flow, and giving you the highest quality safety device available. 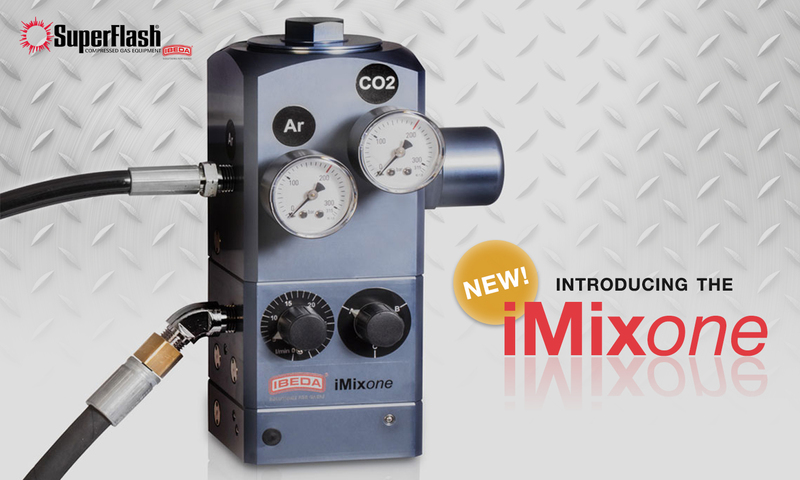 The SuperFlash Mini-PGM 2-gas adjustable gas mixer allows users to mix their own gases at almost any ratio needed to fit their process requirements. 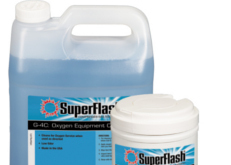 SuperFlash Compressed Gas Equipment’s family of maintenance chemicals is designed to let you and your customers use gases and cylinders safely and cost effectively. 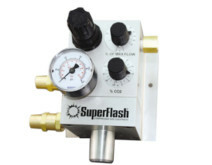 SuperFlash Compressed Gas Equipment can help by designing a customized heating solution so that you can focus on your production with predictable, reliable and repeatable results.